Bedrock is wide indented patterned seven spoke deep dished wheel with a shiny silver riveted rim. Bedrock is wide indented patterned seven spoke deep dished wheel with a shiny silver riveted rim, finished in a smooth Satin Black and Satin Machine face with highlighted accents. 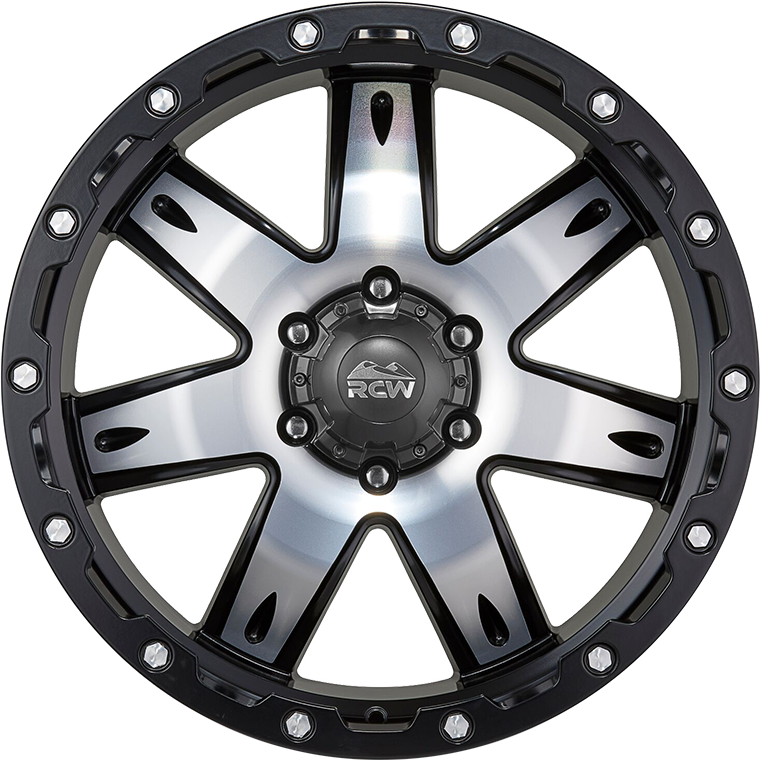 Also available in a Satin Black face with a shiny Machine Undercut Lip with shiny Silver Machine rivets on a smooth Satin Black rim.